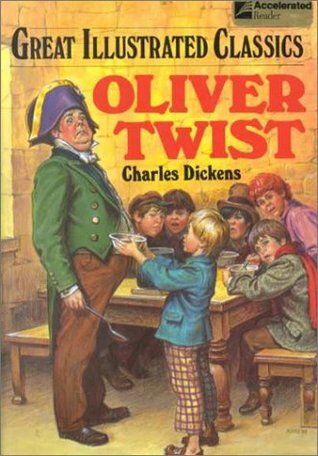 Book Three was a longer more in-depth read: a return to the classics with Oliver Twist. Dark, mysterious and mordantly funny, Oliver Twist features some of the most memorably drawn villains in all of fiction – the treacherous gangmaster Fagin, the menacing thug Bill Sikes, the Artful Dodger and their den of thieves in the grimy London backstreets. Dicken’s novel is both an angry indictment of poverty, and an adventure filled with an air of threat and pervasive evil. A while back, my mum offered me some of her old classics. I accepted a few and shelved them, intending to read them later. I could have sworn one of them was Oliver Twist so I made a mental note to read it and put it on my challenge. When it came to finding the book, all I could find was David Copperfield! So who knows what happened there. Anyway, I was all geared up to read it, so I picked up a cheap Kindle copy and went ahead. 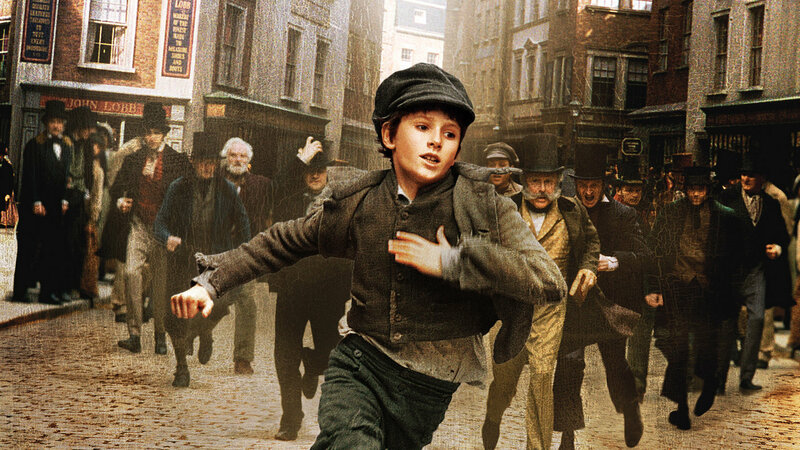 I give Oliver Twist 4 out of 5 stars. I consider that an average rating, because as a whole I felt bits of the book varied from 3 stars to 5 stars. The main plot revolves around the mixed fortunes of a young orphan and the disreputable company of thieves he falls into. It’s a complex plot, and the language used is difficult at times, so I wouldn’t recommend it for younger readers. Nor would young readers appreciate Dickens’ brand of satirical humour. However, if you want a Dickens to start with, I’d say this was a good choice. It’s way less complicated than some I’ve read. No sexual content, very mild bad language, and some violence, although not gratuitous. The beginning of the book is heavy with satire to the extent it had me laughing out loud from time to time. At first, we meet Oliver, a workhouse pauper. He is treated with incredible cruelty by the workhouse owners and upstanding citizens of the parish. Dicken’s makes his opinion only too clear about these do-gooder respectable citizens who treat the poor people like scum on the bottom of your shoe. But it’s not as funny when you realise that he was parodying situations that existed in Victorian times. I’m assuming he’s exaggerating the circumstances to make a point, but nonetheless it’s quite scary that such attitudes prevailed. I do wonder what the current audience thought of this when he originally serialised the novel. Was it a wake-up call? Or did they accept it as part of life? The plot is enjoyable and despite the fact it switches around from one group of people to another constantly – from Oliver, to the workhouse folk, to the thieving bad guys. One thread is a constant driving force and pulls everything together: Oliver’s mysterious origins. It’s well-crafted and keeps you turning the pages, and has a satisfactory ending. As far as characters go, the only one who really drew me in was Nancy. Her storyline is heartbreaking, and Dickens portrays her internal struggles really well. The fact she sees herself as beyond redemption despite the fact she was the only one trying to do the right thing was terribly sad and made me long to give her a different ending. Many of the characters Dickens portrays come over as one-dimensional caricatures. The majority of his villains are bad through and through. Mr Bumble, the self-righteous beadle, never has a kind word to spare. Fagin and Sikes are ruffians of the lowest kind with never a hint of remorse. They are all entertaining, but aside from Nancy, lacked anything much deeper to me. Their comeuppance was satisfying, mind you. The converse is also true. Oliver himself is a very dull little boy. Yes, I feel sorry for him, and he’s treated appallingly, but he remains so unnervingly sweet and trusting throughout the whole experience that it didn’t ring true. Rose is a another angelic character, who has zero flaws, and always does the right thing. She’s basically an angel in human form. A lot of the characters lacked that internal struggle that made Nancy more relatable. I didn’t have a particular problem with the writing style, but from time to time, Dickens veered off into his own happy little narrative for a few pages. It’s a bit tedious to read in these days of snappy modern writing. Once in a while I was shouting at him to stop explaining stuff and just crack on with the plot. The good far outweighed the bad in this book. Obviously, the quality of the writing is second to none (although the particular edition I chose had a lot of errors – don’t think I can blame that on Dickens though!) and it’s interesting to see how writing techniques have changed over the years and fallen in and out of fashion. I’d definitely recommend it as an enjoyable classic to read, and next time the film comes on TV, I shall make sure I watch it. What’s the Deal with Flying Carpets? Yay! Another one for the reading challenge! That cover is the one I had on the version I grew up with. 🙂 That series for classics was a great way to expose kids to the classics without expecting them to get through a huge book with unfamiliar language. It also dulled some of the non-kid friendly details that I’m sure exist in some classics. War of the Worlds for example creeped me out so that I’m sure I could never handle the unabridged version! Mmm yes abridged classics are good for kids – I know I read a few that way. That was a random picture though, not the one I read 🙂 I thought it was the nicest cover! I had a bunch of those abridged classics as a kid! They were a great introduction–I think that was the first version of Oliver Twist I read, actually. I’ve read the original as well and, yes, it can be a bit tedious at times. Great review, btw! I’ve seen one of the movies–I think it might have been Oliver, but I’m not sure. I remember enjoying it, at any rate. I must watch the Disney movie too, some time!